St. Thomas More Soccer Club Scarves! Now Available! Custom STM Soccer Club scarves! 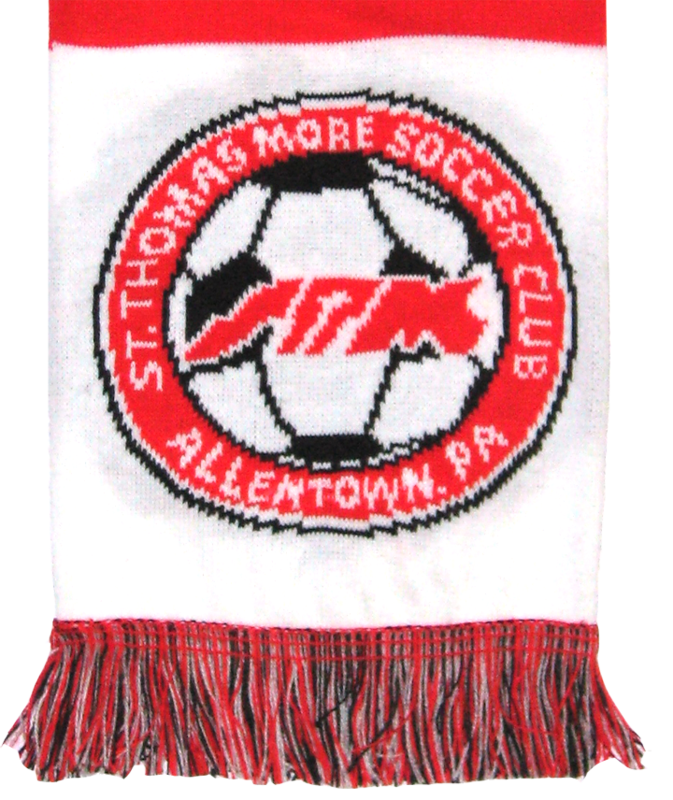 Show your St. Thomas More Soccer Club pride everywhere you go this season with this reversible scarf. Awesome design features woven logos and lettering. The two-tone design includes official club logos on each side. Super soft and warm, perfect for those cool spring morning games! Quantities are limited so act now! Available in two sizes! Youth $15.00 (shown below on top) and Adult $20.00 (shown below on the bottom)! - Login to your account on www.stmsoccer.com. - Go to the My Account page. - Click on the red "Register Now" button listed for of the participants under your account. - Complete the payment process. - You will be contacted shortly to arrange delivery of your scarves! - Wear your scarf to show everyone in the Valley your STM Soccer Club pride!